The day before Christmas I was here at the Old Town Alexandria Waterfront. The color of the afternoon sun really adds to the photo which makes it more captivating. 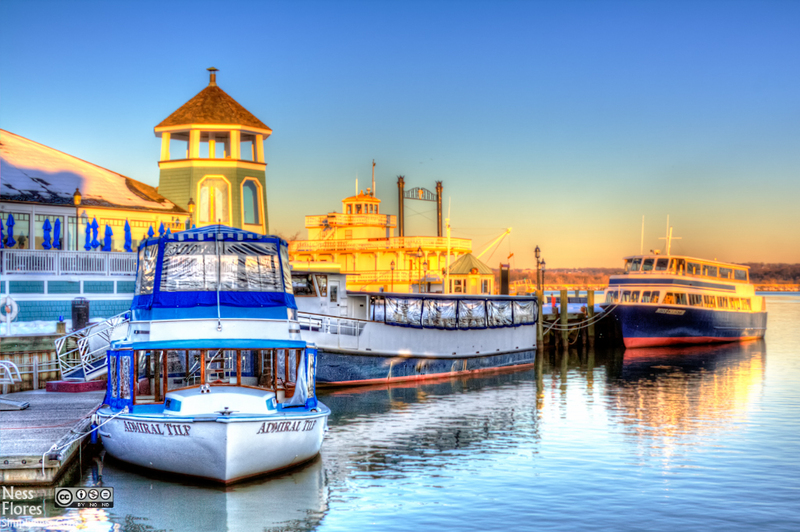 This is an HDR I created consisting of 3 images that I shot using my Canon Rebel XS and Canon EF 28-135mm F/3.5-5.6. I used Photomatix pro to merge the images and a little bit of lightroom to enhance the vibrance and saturation.